The Bowdoin men’s rugby team has had a strong start to its season, beating Maine Maritime Academy and University of Maine-Orono 40-14. The team is looking to continue its streak over the next two weekends against rivals Bates and Colby. Despite being a competitive force among Bowdoin teams, the rugby team is content with their club status. “We’re like a varsity club. 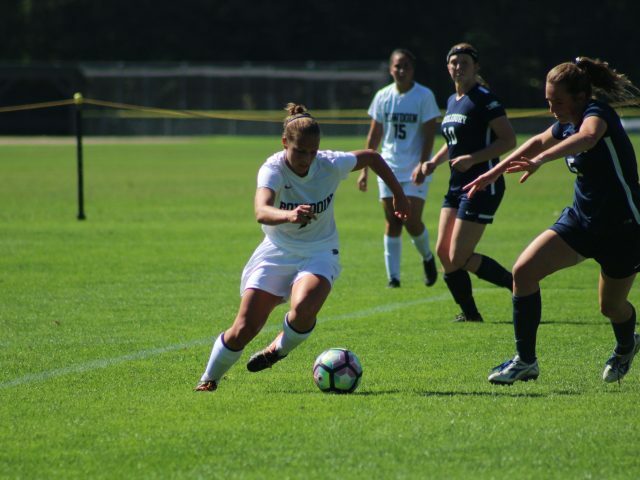 We have all the positives and negatives that a varsity sport has and all the positives and negatives that a club sport has,” said captain Jaime Quirante ’18. Despite this point of contention, the team’s status as a club comes with a number of benefits. The team is student-run, with coaches coming in only three times per week. Though this can inhibit maximum development of rugby technique, as players receive less formal training than a varsity athlete would, it also allows for student-athletes to step up as leaders. Additionally, the club aspect provides an open and inclusive environment for students. The team receives most, but not all, of the benefits of a varsity team. The team is funded by the Student Activities Funding Committee, the Department of Athletics and generous alumni, and its players practice four to five times a week and play at a high level. But the team feels that it’s often overlooked. More recently, the team has had to fight for time on its field. The Whittier Field renovations have allowed the football team to transition away from their practice field at Pickard, so the rugby can now use this field for their practice. The team has had little time on its own game field, however, which it shares with the women’s team for practices and games. Being a club team, the men’s rugby team has had less say on the issue. Though there have been some discussions about sharing the game field, the women’s team continues to have more playing time. Ashmead White Director of Athletics Tim Ryan views the field change in a positive light. Although there is some contention within the team, the rugby team is not pursuing varsity status. Quirante has played rugby all his life and he hopes that the team one day gains varsity status. Meanwhile, Pappalardo disagrees. 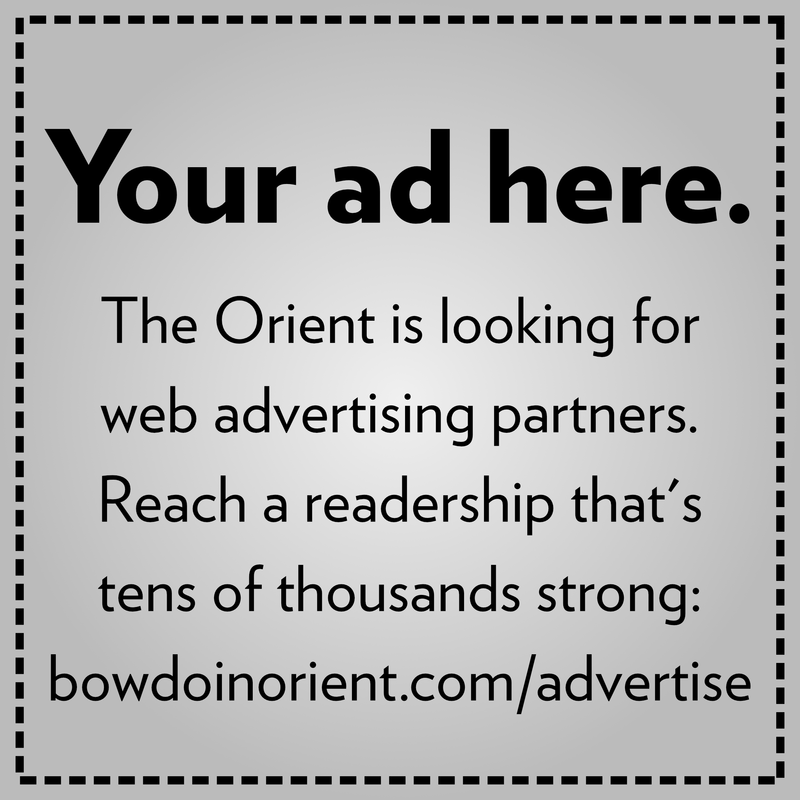 “I think it’s probably split between people that want to join to win and people that want to join to have a group of friends and a community at Bowdoin,” said Quirante. The lack of consensus from athletes has inhibited the transition to a varsity team, a change which would likely take multiple years to be fully implemented. While the transition to the varsity level appears out of sight, the team will have to continue negotiating the issues that come with its club-level status. The Bowdoin men’s soccer team (6-2, NESCAC 3-1) had a successful weekend, earning back-to-back wins against Middlebury (5-2, NESCAC 2-2) and the University of Southern Maine (4-5). In Saturday’s game against Middlebury, Moctar Niang ’19 scored two header goals. On September 21, the first Bowdoin Athletics Podcast was released on Soundcloud, featuring Don Borkowski, the director of capital projects at Bowdoin, and Ashmead White Director of Athletics Tim Ryan discussing the renovations on Whittier Field.